Does Your ISP have Control Issues? Earlier this week one of my clients called, saying “The Bell technician just installed an upgraded internet service and now we don’t have Internet”. 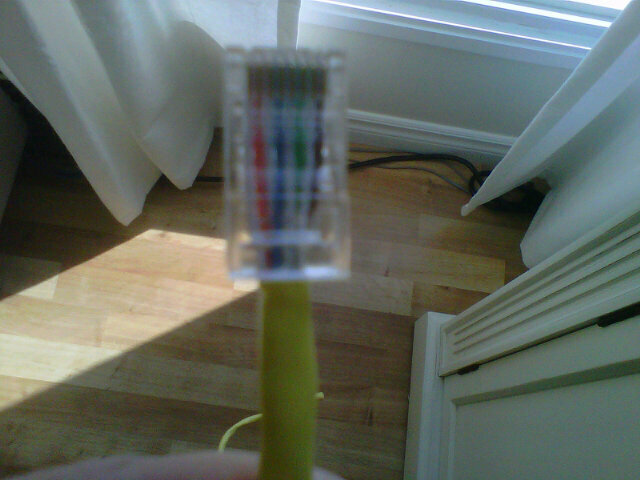 I head down to find that the Bell technician had installed a new router and left the patch cable hanging. By hanging I mean not connected to anything. I didn’t even know if the new equipment had been tested. Not only was their patch cable home-made, it was not crimped correctly, which could have caused network disruptions, and considering what the client pays for this service, at the very least they should have been left with a proper patch cable. Notice the difference? The image on the top is properly crimped. The sheath (blue) is under the pressure point, whereas the one on the bottom (the actual cable the Bell technician left) the sheath (yellow) is not. 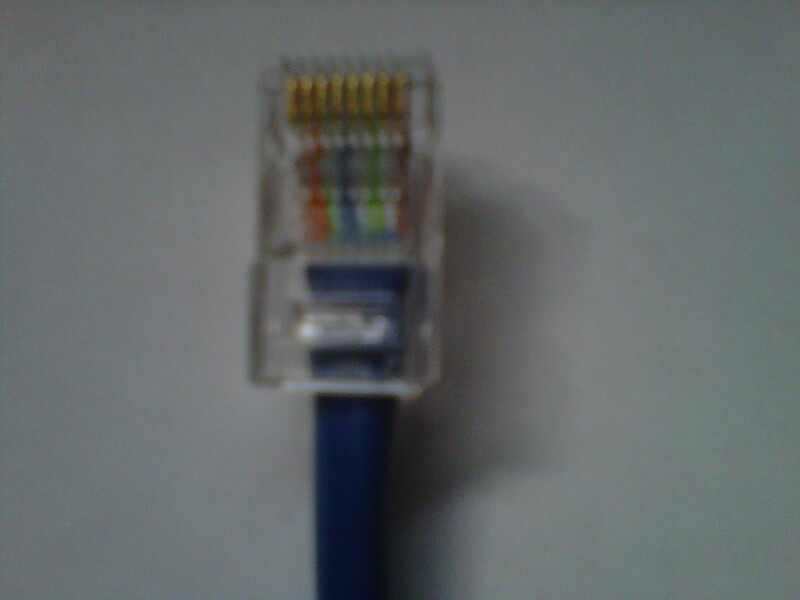 The individual wires are crimped, causing damage and this connection makes it much easier to pull the cable away from the conductive ends which pass data, resulting in intermittent or no connectivity. I understand why ISPs do not want to have their customers using equipment they can’t access or monitor (that is a whole other rant), but they should not keep the instructions “hidden”. Since Bell doesn’t believe in providing documentation on how to Bridge their devices, I have outlined the instructions below. There is no reason why this should not be available. Hopefully another small business isn’t stuck in the same position my client was in, because Bell has “control issues”. The router should now be in Bridge Mode and data should now pass directly to the internal router.